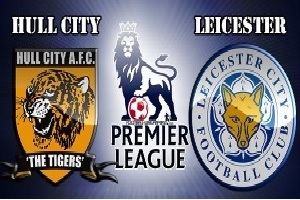 The new Premier League season kicks off with Hull City facing the reigning champions Leicester on Saturday. Hull City just returned to the Premier League after playing 2015/2016 season in Championship. Still the team has very questionable future as their manager Steve Bruce had left the club and the place is still vacant. Also two main players Sone Aluko and Mohamed Diame signed with different teams. Hull is even struggling to gather a full squad for the beginning of the season. On the other hand Ranieri just renewed his contract. Leicester kept almost all players from the winning team with one exception - N'Golo Kante. He is replaced by Mendy, a player of the same level and taking the same position. They also signed with a very good striker - Ahmed Musa from CSKA Moscow. I see Leicester start with a win taking all the points from this game.